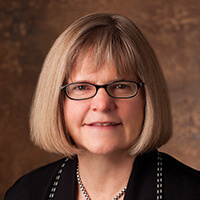 SALT LAKE CITY - May 4, 2016 - PRLog -- Snell & Wilmer is pleased to announce that Salt Lake City partner Denise A. Dragoo is the recipient of the University of Utah S.J. Quinney College of Law Alumna of the Year. Dragoo was honored at the college's annual Alumni Dinner held at the S.J. Quinney College of Law on May 3. Dragoo focuses her practice in natural resources and environmental law, specializing in coal, water, mining, public land and issues affecting the oil and gas industry, mine safety and health law. Prior to Snell & Wilmer, Dragoo served as Special Assistant Utah Attorney General to the Utah Board and Division of Oil, Gas & Mining and was responsible for drafting the Utah Coal Mining and Reclamation Act. She practices before the Board of Oil, Gas and Mining, the Utah State Engineer, the United States Department of the Interior, Board of Land Appeals and state and federal courts. Dragoo has served as a member of the Leadership Council for the American Bar Association's Section on Environment, Energy & Resources and a Fellow of the American Bar Foundation. She is a former member of the Executive Committee of the Rocky Mountain Mineral Law Foundation and is the Utah State Bar's Trustee to the Foundation. She served four terms on the Utah State Bar Commission, was a member of the Board of Legal Aid Society of Salt Lake and was an officer and board member of Women Lawyers of Utah. Dragoo is listed in The Best Lawyers in America®for Energy Law, Environmental Law, Environmental Litigation, Government Relations Practice, Mining Law and Natural Resources Law. She has also been recognized as a leader in her field of Energy & Natural Resources by Chambers USA (2010-2015); Mountain States Super Lawyers (2007-2015); and Utah's Legal Elite (2009-2015). Dragoo received a B.A. from the University of Colorado and her J.D. from the University of Utah S.J. Quinney College of Law. She also received a Masters of Law in Environmental Law and Land Use from the Washington University School of Law, in St. Louis, Mo. Founded in 1938, Snell & Wilmer is a full-service business law firm with more than 400 attorneys practicing in nine locations throughout the western United States and in Mexico, including Salt Lake City, Utah; Phoenix and Tucson, Arizona; Los Angeles and Orange County, California; Denver, Colorado; Las Vegas and Reno, Nevada; and Los Cabos, Mexico. The Salt Lake City office is celebrating 25 Years of service in Utah. The firm represents clients ranging from large, publicly traded corporations to small businesses, individuals and entrepreneurs. For more information, visit www.swlaw.com.